The Great Firewall is neither great, nor a firewall. Discuss. Last week, Xi Jinping’s chairmanship of the Communist Party was announced, and collectively, the Chinese Internet breathed a sigh of relief. Netizens rejoiced as the web returned to its normal speed, while censors, government officials, and Internet companies finally allowed themselves to stop fretting about making any missteps during the highly sensitive week-long, once-in-a-decade political meeting — the 18th Party Congress — which decided China’s new leadership structure. Within a few hours, the top trending topics on Sina Weibo, China’s homegrown equivalent to Twitter, included political topics like incoming Premier Li Keqiang’s resumé and Russian Prime Minister Dmitry Medvedev’s November 15 comments that he isn’t bothered by online criticism because such things are normal in a democracy. But for most of the week-long Party Congress, however, the top Weibo chatter (part censorship, part apathy) had focused mostly on Chinese pop celebs. Though the blocks varied, terms censored on Weibo throughout the Congress period included the names of numerous Communist Party politicians; shiba da, the Chinese abbreviation for the Party Congress; several unrelated homophones of shiba da; the word "Sparta" (which sounds like shibada in Chinese); the euphemistic phrase "area of political importance" (the meeting was held at Beijing’s Great Hall of the People, which lies close to Tiananmen Square); and words pertaining to taxis and windows (due to much-ridiculed rules directing Beijing taxi drivers to remove their rear window cranks during this period, apparently to prevent protestors from throwing ping-pong balls containing political messages). Few people remain unaware that the Internet is censored for China’s 538 million users, but misperceptions persist about how it works. Here are five of the most common myths about Chinese online censorship, debunked. 1. Censorship means the Chinese are left in the dark. Chinese netizens are aware of what they’re missing, in part because the censorship apparatus makes little attempt to hide itself. Attempts to visit blocked sites sometimes return responses that make them indistinguishable from genuine technical issues, but most return messages such as "Sorry, the host you were looking for does not exist, has been deleted, or is being investigated." Until the beginning of November, searching for blocked terms on Sina Weibo returned the message "Due to relevant laws and regulations, results are not displayed." Now though, the message reads "Sorry, unable to find [keyword] related results." 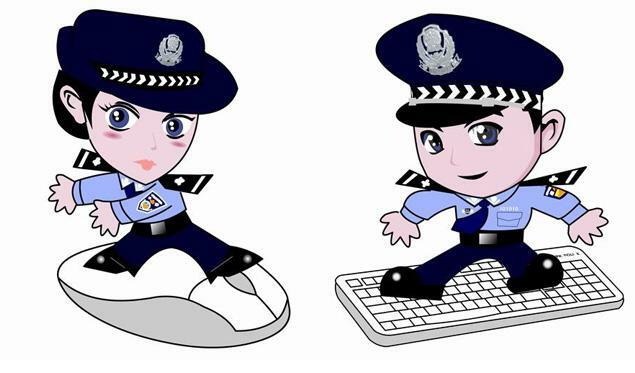 Sometimes the blocked messages are more playful: In 2006, the Internet Surveillance Division of the city of Shenzhen’s Public Security Bureau even launched two cutesy Internet police cartoon characters, named Jingjing and Chacha, who appear on websites to remind users they’re being watched. Their names come from the syllables of "jingcha," Chinese for "police." Beijing launched its own version in 2007. Perhaps the best evidence of netizens’ knowledge of their own censorship, though, is their hatred of Fang Binxing, president of Beijing University of Posts and Telecommunications and the architect of the censorship system’s blocking mechanism, nicknamed "The Great Firewall." In December 2010, Fang (who has said he has 6 VPNs on his computer) opened a microblog account on Sina Weibo. Within three hours he had attracted so many hate comments — unlike Twitter, Sina Weibo includes a commenting feature — that his posts, and the comments, were taken down. To add insult to injury, in May 2011, students pelted Fang with shoes and eggs when he gave a talk at Wuhan University in central China. After both incidents, Fang’s name was blocked on Sina Weibo. 2. It’s the government that censors. This is true — to a point. The government maintains the Great Firewall and hires Internet police as well as wumaodang, or "50-cent party members" — people paid to influence Internet discussion by writing social media posts extolling the government’s position on issues. They’re known as "50-cent" because they’re selling out for cheap; the Chinese equivalent of a two-dollar whore. There are an estimated 250,000-300,000 wumaodang, who sometimes work with China’s 30,000-50,000 Internet police. But beyond this, the government has roped private companies into carrying out most of their own censoring. Companies must sign a "Public Pledge on Self-Discipline for China Internet Industry" in order to get a Chinese Internet Content Provider license, and the government holds all Internet companies operating within China, both foreign and domestic, liable for everything that appears on their sites. This includes comments on social media, and even on online chat and instant messaging. Companies deemed not in compliance can have their business license revoked and be summarily shut down. As a result, every large Internet company employs its own censors. Charles Chao, the CEO of Sina reluctantly told Forbes in March 2011 that the company employs at least 100 "monitors," though Internet expert and activist Rebecca MacKinnon estimates the number is closer to 1,000. The guidelines for these censors are vague, which Jason Q. Ng, a graduate student at the University of Pittsburgh who studies the Chinese Internet and tracks banned terms at his blog Blocked on Weibo, says is intentional. "Most of the time people at the companies are trying to suss out what’s sensitive this week, and let’s do this right now because otherwise the government will come back next week and say, ‘Why didn’t you do this?’ and punish them. This creates a culture, perhaps not of fear, but where corporations realize they need to be on their toes to stay ahead of where the government puts down the hammer next." In other words: to make sure they stay within the unstated bounds, overly cautious companies wind up censoring more than necessary. 3. No one is allowed to criticize the government. False. The government rarely sets out explicit censorship guidelines, making it difficult to determine what gets censored and what doesn’t. But, a Harvard University working paper on social media censorship, the most recent version of which was released in October, found that there is plenty of criticism of the government online. The team downloaded nearly 3.7 million posts (mainly from BBS and blog platforms, not microblogs) from 1,400 social media services over six months in 2011 (a period that included the arrest of Ai Weiwei, protests in Inner Mongolia and Zengcheng, and deadly bombings in Fuzhou). About 13 percent of all social media posts were censored. "We had thought certain topics would always be censored, but censorship didn’t occur by topic," said Jennifer Pan, the study’s co-author and a Ph.D candidate at Harvard, in an interview. Instead, censorship was focused on what the study calls posts with "high collective action potential" — that is, posts that "represent, reinforce, or spur social mobilization, regardless of content." MacKinnon concurs: "The censorship that takes place, it’s less about trying to catch every little thing, because they can’t catch every little thing. The priority is placed on people using the social networks to organize." The Harvard paper describes several thousands of posts they found containing scathing critiques of China, the one-child policy, the country’s failure to democratize, condemnation of local officials by name, and references to the 1989 Tiananmen protests, which were not deleted. By contrast, during the arrest of Ai Weiwei, the Inner Mongolia protests, and the Fuzhou bombings, 80 percent of posts alluding to those events were deleted, likely due to fears of collective action such as solidarity protests. The government fear of organized protest also jibes with the uneasy status that NGOs have in China. They are viewed with suspicion by the government; indeed, the very phrase "non-governmental organization" reads like a description of everything the Party fears. 4. Internet censorship is carried out in a blanket fashion. Unlikely. When the New York Times website was blocked in China in October after publishing an article on the $2.7 billion amassed by the family of then-Premier Wen Jiabao, the online chatter was uncertain as to what actually happened. This kind of confusion often occurs in discussions of China’s Internet blocks because the censorship employs a variety of different methods. These include connection resetting (which returns an error message that usually occurs when a site is down or has moved to a different address); redirection to China (typing in Skype.com from within China will take you to Skype.tom.com, its local partner which is subject to Chinese regulations); DNS poisoning (wherein the Internet service provider changes the DNS record of the blocked site, taking one to a dummy web server hosting a block page, which could contain malware); throttling (severely slowing down a site in lieu of blocking it outright, often done to Gmail in China); and timing out (when the site tries to load for so long that the browser gives up; indistinguishable from a genuine technical problem). Content providers also employ a variety of techniques. Sina Weibo users can post anything they like, and often sensitive posts will even appear in their personal feed, but the post is blocked from search results. In other words, a user might have no idea their post has been "disappeared" and their friends and other users can’t see the post in their feeds. After a term has been unblocked, it quietly reappears in users’ feeds and search results. None of this means that a country-wide "kill switch" isn’t possible — there are only a few tubes into China and, though hard to imagine, it would be easy to black out the entire country very quickly. Internet in Xinjiang, China’s largest region geographically, with a population of 21.8 million, was almost entirely shut down for 10 months from July 2009 to May 2010 after riots in Urumqi, the provincial capital, left what state media estimated at 197 dead. Text messaging and international calling were also blacked out for six of those months. And parts of Tibet are still currently blacked out. 5. The Internet will lead to democracy. Dream on. In his 2007 book The China Fantasy, journalist James Mann devoted an entire chapter to refuting an idea he called "The Starbucks Fallacy" — the belief among Westerners that exposure to icons of Western capitalism like Starbucks and McDonald’s would inevitably lead to democracy. Today, post-Arab Spring, we might be in the middle of a Facebook Fallacy. After the resignation of Hosni Mubarak in February 2011, activist and Google executive Wael Ghonim said, "If you want to liberate a society just give them the Internet." But the Internet is not enough in the absence of the right political, social, and economic factors. And tools of free speech can be tools of surveillance. VPNs, so widely used to circumvent censorship, are easily blocked and monitored. "There are a lot of people in China who are signing up for random VPN services, but have no idea who’s running them and what relationship they might have with what government, or what companies," said MacKinnon. "A VPN is only as secure as the people running the VPN." In 2000, President Bill Clinton said: "There’s no question China has been trying to crackdown on the Internet. Good luck! That’s sort of like trying to nail Jell-O to the wall." But, as Ng put it, "China has the world’s biggest nail gun."